You are here: Home / Blog / Cute Mother’s Day Gift Idea and Printables! 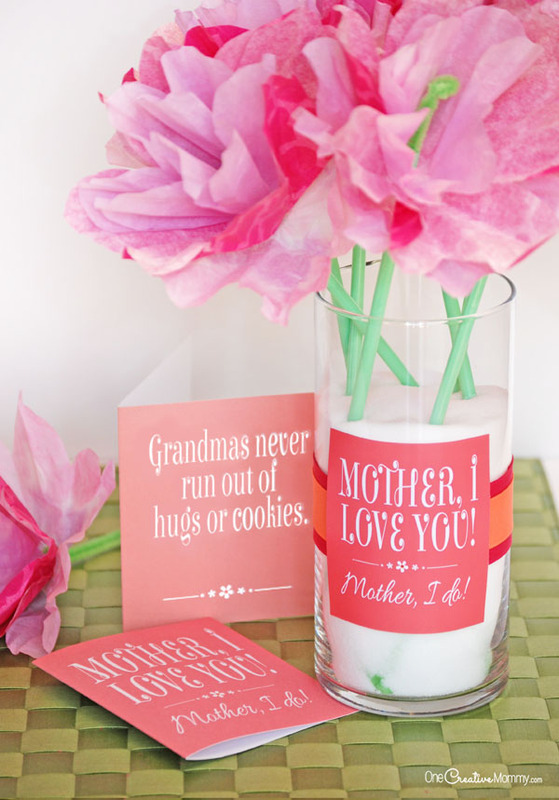 Cute Mother’s Day Gift Idea and Printables! I almost forgot about Mother’s Day this year! A friend mentioned it on Facebook, and I was shocked that it was so close. 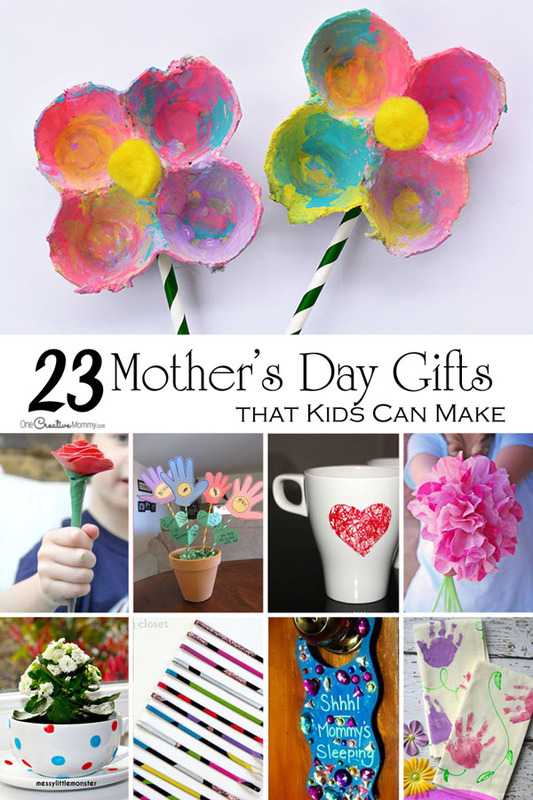 With Mother’s Day just around the corner, here’s a cute Mother’s Day gift idea and printable. 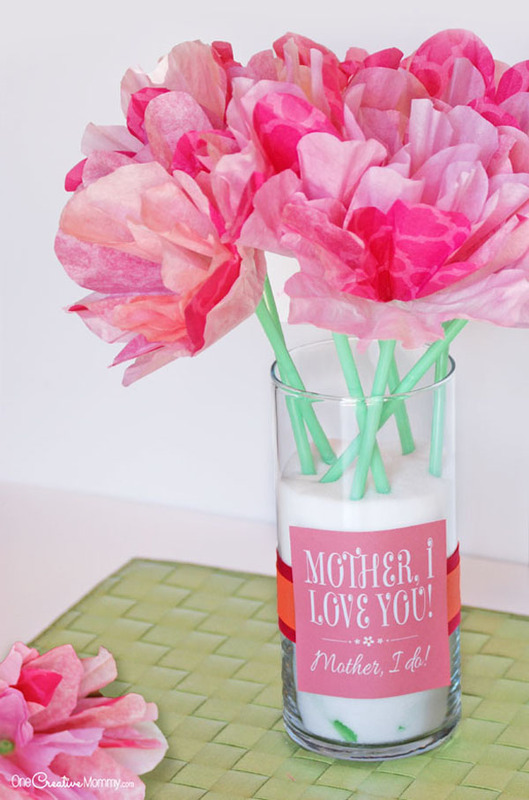 These fun mini cards are perfect for Mom or Grandma and the labels go great on a vase of fresh flowers or homemade paper flowers (like these gorgeous coffee filter flowers). Mother, I love you; Mother, I do. Father in Heaven has sent me to you. Singing so softly that you love me too. Mother, I love you; I love you, I do. I’ve been listening to my children sing that song for about eleven years now, and I used to sing it to my mother. In honor of the song, I created this “Mother, I love you” printable. You can print it as a card or as a tag to adorn a vase of flowers. If your kids like to do things for Grandma on Mother’s Day, I created a printable for her, too. 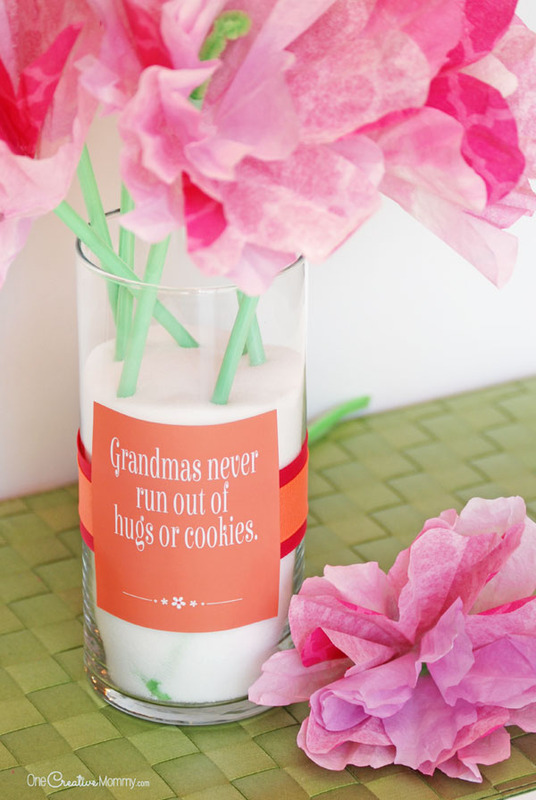 “Grandmas never run out of hugs or cookies.” That’s absolutely the truth with my mom! I’m grateful for lots of hugs and cookies over the years for me and for my children. My kids know just where to find the cookies (and cupcakes) and Grandma’s house. 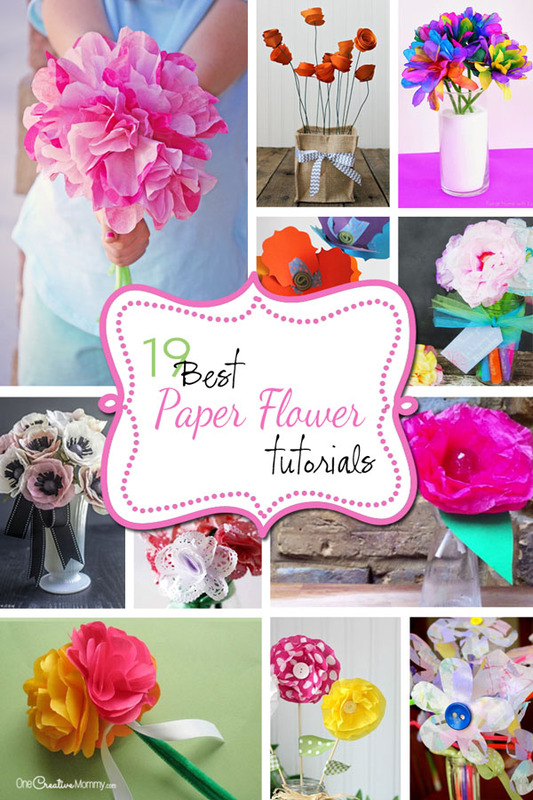 If you choose to create a vase of paper flowers, simply print the tag and cut it to size. Wrap the vase (mine is from The Dollar Store) with some pretty ribbon, and glue the tag on top. I used glue dots, and they stick to the glass nicely. 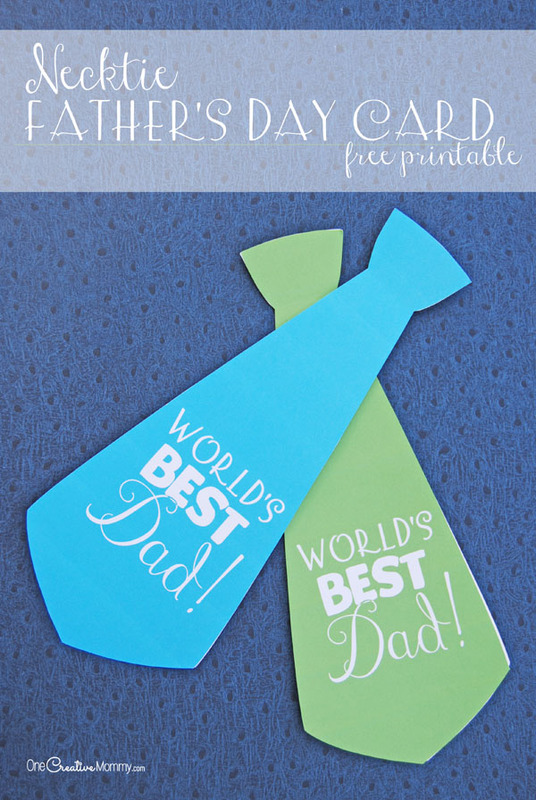 Click the download link below to go to my download page to download your free printables. We made this gift for Grandma last year, and it’s been the star of her counter top and kitchen table for months. I’m in love with the colors! I hope your mother or grandmother loves them, too. 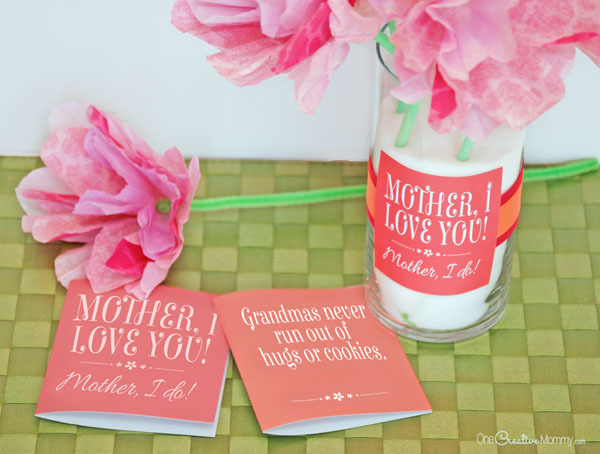 really nice mini cards and great idea gift for mom or grandma.Thanks onecreativemommy.